How To Choose A Domain Name – That Rocks! It's time for a brag. I'm really good at picking awesome domain names. In fact, I've done it for dozens of people - and continue to help my members choose the perfect domain name month after month in my private forum. I just have a knack for it. I decided to sit down and write up a quick guide that shares my resources, and my specific strategy, for choosing domain names. You know how the saying goes "teach a man to fish". Well, I can only hand out so many fish, right - so I'm finally spilling the beans. My members already have it, but I thought- why not release it publicly? There's no real magic to picking awesome domain names. At least, I don't think there is. But then I see crappy domains cross my screen every single day. Seriously bad domain names that make me wonder... what where they thinking?! Your domain name says a lot about your online business. Did you know that your domain name affects your CTR, or click-through rate? It also affects your conversion rate. Not to mention your credibility in the niche when it comes to things like joint ventures or guest blogging. The biggest complaint (or excuse) I hear is: But all the good domain names are already taken! Not true. And I prove this almost every single day. I'd even be willing to bet it takes them longer to choose & register a bad domain name, than it takes me to choose a great domain name! Domain Names that Invoke Action! There's no email confirmation, no hoops, no upsell... no hassle. Just checkout & download. You'll be reading it in less than a minute! "Lynn, I love the real world examples you give in this guide. When it comes to picking a domain name I really value your advice, you've helped me with a handful of mine in the past and had it not been for you I would have been stuck with some stinkers for domain names. Page 13 of the report alone is a handy little thing for me to grab when I'm brainstorming out domain names for my new sites. You really packed the value into this short action taking guide!" Consider what you've spent on domain names already, and what you'll likely spend in the future. For most people, domain names are an expense. It's time to turn them into an investment instead! Last year I learned the value of inner pages on a site, and how a keyword-rich domain name is not the end all, be all of affiliate marketing. I can have a site with the domain name of GardenZone.com, but rank for an inner page that has a good keyword in it and still make out. I use to think that affiliate marketing was all about registering a keyword-rich domain name, but I've since learned the value of inner pages. Now that's not to say, I don't register keyword names, because I do. But I just know now that its not do or die, without it. Loved your guide, very comprehensive and loaded with good tips. Certainly true Missy. Google returns links to pages, not domains. So focusing on your inner pages is smart. Full of information and I especially liked the convenient links . With so many terrible domain names popping up every day I am glad to see someone like you trying to educate people! Sometimes it is really hard to choose between a keyword domain and a good domain name. Atleast for me... Keyword domains boost SEO efforts it such a huge way that you can't get around them sometimes. But you guys are definately right about inner pages. I want visitors to see pages that are specific to the keyword so a keyword domain is not all that valuable. I just love the different ways you suggest to get a keyword rich domain name, even when it seems hopeless at first. Your new guide is a great read with incredible tips and techniques - thanks for taking the time to write it! Thanks for sharing your expertise. 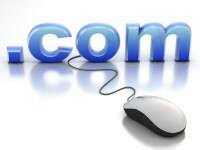 It will be a great help to choose what's best when thinking of a good domain name. Thanks for an informative write-up. Domain name choosing is a very important factor in running our business and a key in SEO. This is the stuff you need to know and Lynn you explained it wonderfully. I look forward to reading from you well into the future. I have picked some pretty crappy domain names in the past myself! Some that I know negatively effected my conversion rate! If you are going to put time and effort into generating traffic, you might as well put time and effort into maximizing your conversion rate! Otherwise, the time and effort you put into generating traffic will be wasted, or at the very least diluted! Maximizing your conversion includes picking a domain name "that rocks"! Some great advice as you say it is as easy to pick a good domain name as it is to pick a bad one. As for all the good ones are gone all you need is the 5 words that google doesn't see. Yea choosing the right domain name is something where I put a lot of effort and time in it. The fact that I have a nice domain always motivates me to keep building my site. I'm having some difficulties though when I have to choose between keyword domain vs domain that sounds good. Great resource. I have quite a few domain names that I have purchased that I am letting expire because I did not do a good job researching before I bought them. I thought that it can't be that hard any domain name work, boy was I wrong. I am new to this but it seems that depending on what you are doing, picking a domain name can be about branding yourself or your product. If looking for a domain name for affiliate products it's more about SEO. That's truely right. Researching domain names is one of the most important matter that showing online business. Not many people truely doing research due to lack of knowledge of picking the valueble domain names. This report definately based on your research on this matter. Seriously, I think it really takes a while to be able to think of a good domain name. And so far, there are many domains out there and not all has that good sounding name. Anyway, I still think it's also good to balance everything. That means, good domain name and good content. Lynn, Big props to you .. I'm rounding up the stray dogs and sending them to the pound (so they can be reassigned to another loving home)'cause there will need to be plenty of room for the incoming lovelies I'll be grabbing with the help of your roadmap. thansk you, your guide was worth every penny I paid. I would also add however the domain name is not the be all, having seo and conversion optimized inner pages will turn a failing campaigb into a sucessful one. Domain name is representing your business and brand name in your online business. You must select the domain name that easy to spell. You’ll lost a lot of traffic if the visitors miss-spell your domain name. Sometimes, domain names are the very first thing you need to think about when putting up a site. It is the one that mostly stands out since it is your domain name. So, it is good that you have come up with this guide. You took notice of a seemingly insignificant but very important thing. Oh man, I fell for it. I thought this post was going to contain the info. However, not a bad price. I think the key is a catchy sounding name that people will remember. For some, their domain name needs to contain keywords. This is most common for niche sites, if I'm not mistaken. However, for others that discuss different topics on one site, the prefect to make use of a unique sounding domain name for their site. I just wanted to say thank you again for the inspiration. After reading your blog I was inspired to change and USE my blog after leaving it sit for years. I really love this post. I blog for United Domains, we run a search engine for available domain names that I think is great for brainstorming (UD.com), and I ran across your post while looking for blog ideas. I completely agree with your point about a domain name so bad you wouldn't even click on a link for it! Domains are very important. I had to learn the hard way. 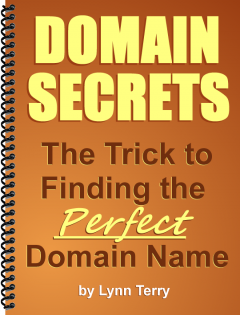 I love to buy this great book for domain hunting. This will compliment my newfound method to find great domain that I think very valuable in the future. One of this is I paired 2 two-word phrases that has high traffic searches in a low competition niche into one that make three-word domain name. It sounds logical that if you are using keywords, or words that people are using in there searches, you will be apt to attract more attention. Even though this blog is an ad for your business it works since it brings to mind that thought and consideration must be given to picking a domain name that works for your business, and, perhaps with a potential resale value. The SEO aspect shouldn't be overlooked. It's always good to have a keyword inside your domain name. Although this is a hot topic, using one ore two hyphens "-" to separate your keywords is generally considered to be a good practice. Just don't go over board with it. You really need to find the right keywords for your market BEFORE you look at SEO. There is no point doing SEO for keywords that do not get any traffic. I think all the good 1-word domains have pretty much gone, but if you use your imagination then there are still a huge number of domains you can build a business brand around. I have often heard SEO "experts" state that having your main keyword in the doamain name is vital to successful rankings. It probably helps a lot, but I don't think it's the 'be-all-end-all'. I have a successful site that has a crappy domain name - not a single keyword in it and it generates a nice income. The questions about hyphens seems to have generated some controversy. Personally, I dislike them. I think they look unprofessional unless separating the words looks more natural. Some people swear by them. And yes, most of the good one-word domains are gone. Turns out the one I want at the moment is for sale, but I can't afford it. So back to the drawing board. I just pay for the domain name guide. But i don't know where to download the guide,could you help me? Nice article. But I would like to whether new domains rank better or does expired domains with high pagerank? If it’s ok with you. Here is another viable option to get quality expired domains for everyone here, it’s called Domainpeel.com. This in tandem with other linking methods can really be a big help in either pumping up your own sites or starting your own Private Blog Network. Question: What hot niches you think are good to go after in 2014?